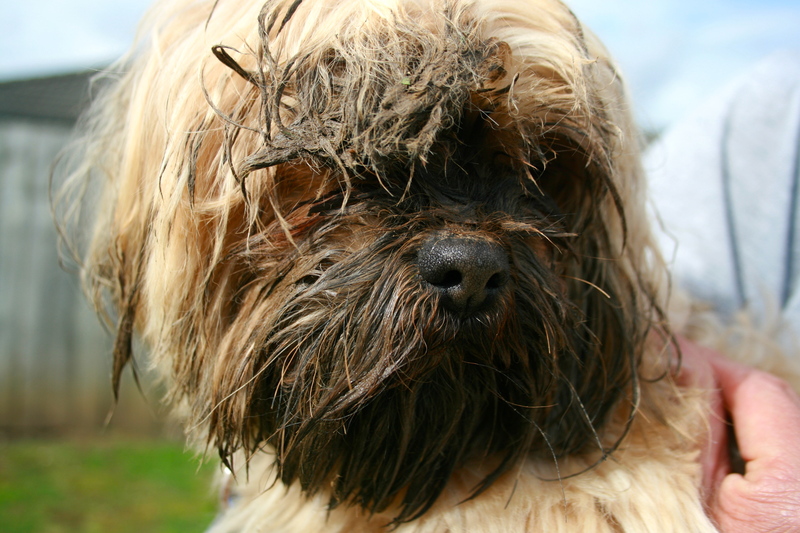 Nothings says “I’m happy your home” more than a Shi-Tzu with a face full of mud. Dashy got a wee bit carried away with his treat this afternoon and decided to bury it. With his face. What concerns me is that he has been showered and blow dried, yet I don’t know where the treat is. I could return home from work one day this week to find this. Again. Excuse me for such a meagre post. As soon as my brain knows which hemisphere it’s in and I can stay up past 8.30pm regular posting will re-commence.